I went to Portugal for the first time ever last August. After a stressful week (read my post The one where I forget to renew my son’s passport, and you’ll understand), I was relieved to make it to Lisbon, Portugal’s capital, with my husband and two teenage kids. We stayed in the city for two nights, and it was a great way to start our holiday. 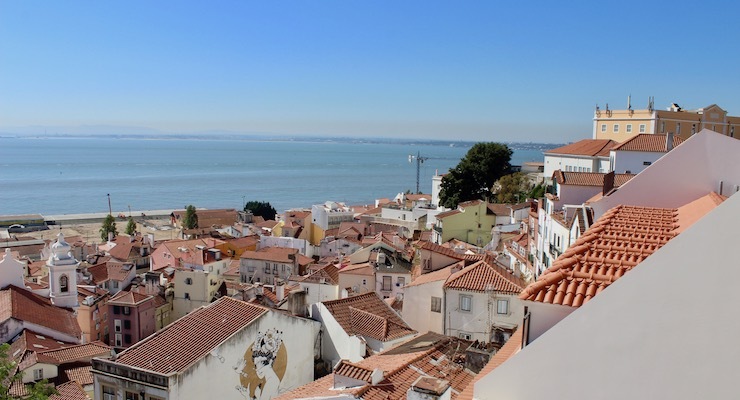 Lisbon is built on seven hills overlooking the Atlantic, and it’s a gorgeous, ornate city. As we were only there for a couple of days, we decided to try to get a feel for the place by walking its cobbled streets, taking some tram rides and finding some good places to eat, while relaxing into holiday mode. We didn’t go to any museums or galleries, although I’d like to do that if I ever return to Lisbon. It was hot, but not too hot to walk around during the day. 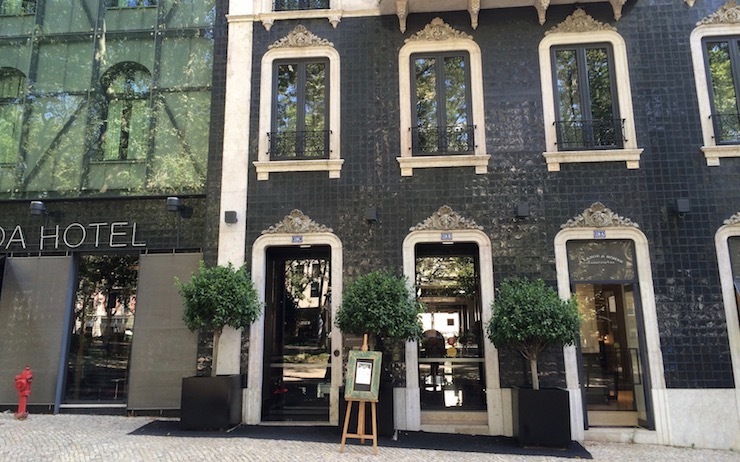 We stayed at a hotel which I’d definitely recommend: the Fontecruz Lisboa. The Fontecruz is a 5-star boutique luxury hotel in a great location on Avenida da Liberdade in the city centre, and it suited us perfectly. We had two adjoining rooms, and they felt very comfortable and welcoming, and offered everything that we needed for our stay. The wifi was good, and the kids were happy to relax at the hotel sometimes while my husband and I were off exploring. On our first evening in Lisbon we ate at a restaurant near the hotel, which the concierge recommended to us. It was fine, but nothing special. I’d heard that dining out in Portugal can be hit and miss, and for our second evening we wanted to be sure of eating really well. We ended up at Time Out Market Lisboa, which had been recommended by a friend. I’m so glad that we went there, because it’s a fantastic place, and it was definitely the best foodie experience of our whole Portugal trip. 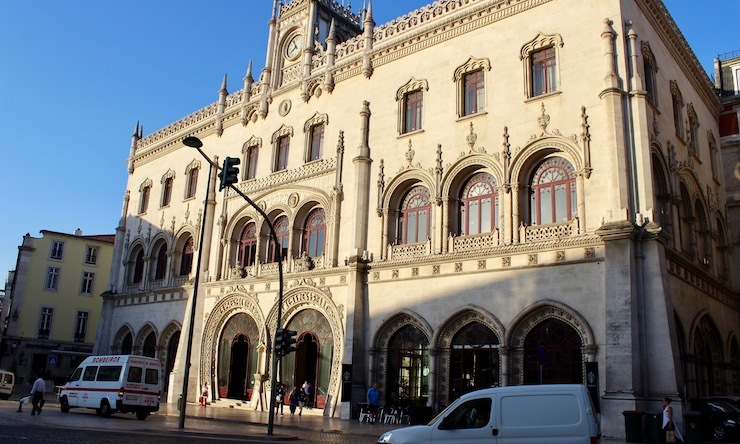 Housed in an old market building, this gourmet food hall offers high quality Portuguese specialities of every kind. It was perfect for us: my daughter and I are vegetarian, but my husband and son are omnivores, and eating out as a family is sometimes tricky. At the market, each of us chose what we wanted to eat from different stalls, then we all ate together at one of the central tables. Perfect! Pastéis de nata are custard tarts, a celebrated local speciality which is on sale all over the place in Lisbon. We tried some freshly baked ones for breakfast at one of the cafes near our hotel. I wasn’t hugely keen on them (I prefer chocolate pastries) but my husband and son liked them. Our next stop after Lisbon was the city of Porto, which I’ve written about in this post: Our trip to Porto, Portugal’s second city. To get there, we booked a hire car from the airport, an easy air-conditioned bus ride away from our hotel. From Porto we went on to the coast – check out my post about Praia D’el Rey Golf & Beach Resort where we stayed. I really enjoyed our trip to Lisbon, and would love to return and spend more time exploring the city. 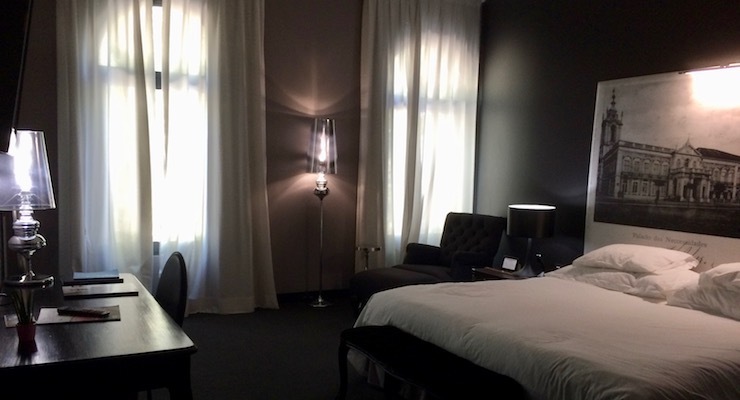 The Fontecruz Lisboa hotel was an excellent base for us, and I’d definitely recommend it. 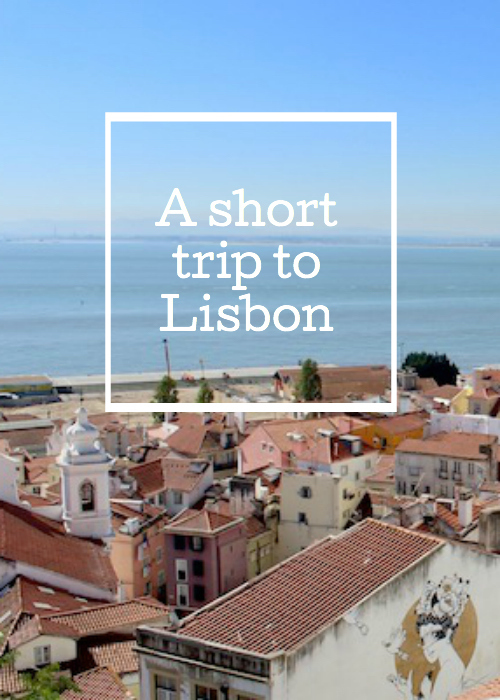 Have you ever been to Lisbon? Do you have any recommendations of things to do in the city? Disclosure: This post contains affiliate links, which means that if you clicked through and booked I may receive a small commission. All opinions, images and words are my own, as ever. I'm a freelance journalist and blogger specialising in family travel with teenagers, trips when parents manage to travel without their kids, and 50+ travel. I also write about vegetarian travel, parenting teenagers, adoption, SEN, ADHD and anxiety. My work's been published by the Financial Times, Guardian, Independent, National Geographic Traveller, Lonely Planet and others. I've lived and worked in Italy and Spain and am now based in rural south-east England with my husband, adoptive and birth kids and our dog. I previously worked as a social action radio producer for the BBC. Subscribe to posts by email? Lisbon is on our Bucket List. I had a trip to the South of Spain and Lisbon all planned out but we ended up going somewhere else. Definitely going to visit sometime, so thanks for the informative post! It’s a really interesting city to visit – I’d love to back and explore it further. 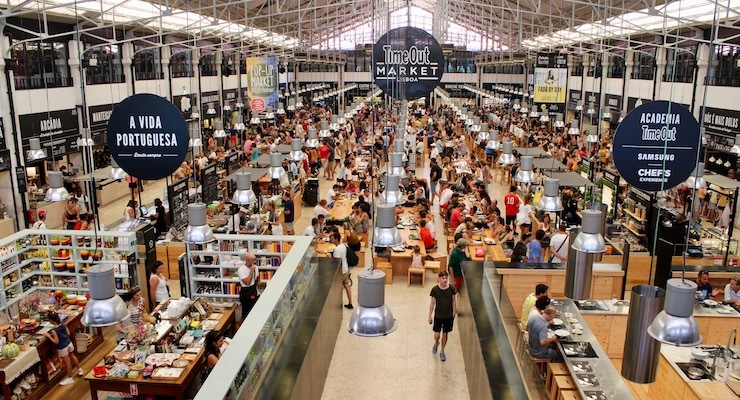 Time Out Market sounds great – definitely adding that to the list for my next visit, Lisbon is one of my favourite cities. I love taking the tram and the Alfama, the old district with the castle. Belem is probably my favourite areas though and they have three original pasteis de Natalie. Time Out Market is fantastic – I think we’d eat there every day if we went again! I do want to go back and explore some more, especially the Alfama and Belem. Oh I haven’t been, it’s on our list of places to visit though. It looks lovely, and hubby is a huge fan of custard tarts. It’s a great place – I’d love to go back there. That funicular sounded exciting! I love the graffiti on the front, too. It’s an interesting contrast to the ornate features of the buildings in your other pics. Nell (the Pigeon Pair and Me) recently posted…Why do people return to La Garangeoire, in Vendée, France? 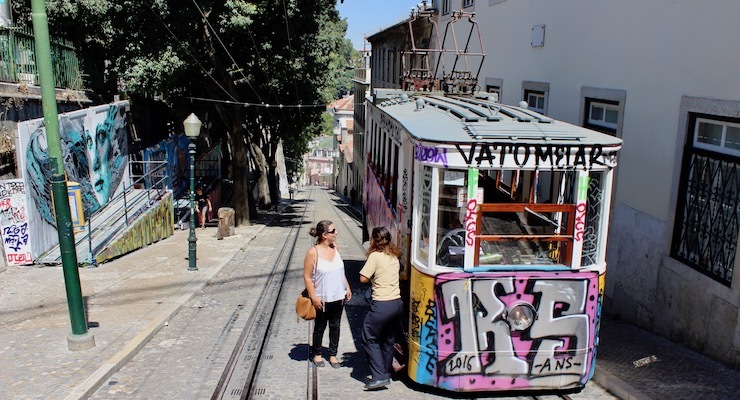 The funicular and the trams in Lisbon are a great experience – definitely recommended! You'd like posts by email? Which Crufts or Scruffts category would your dog win? This is a personal blog written and edited by me, Gretta Schifano. Sometimes I’m given products or sent on trips to review, but I always make this clear and give my honest opinion. See my About page for full details. Subscribe to the Mums do travel mailing list... it's FREE! You'll receive family travel news, offers and competitions. Once you sign up you can download my tips for saving money on family travel.